Raspberry Pi 3 B+: Co-creator Eben Upton on the new board @Raspberry_Pi #PiDay #RaspberryPi « Adafruit Industries – Makers, hackers, artists, designers and engineers! 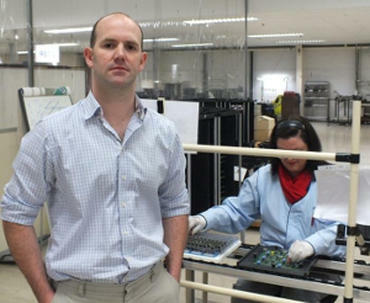 In 2016 Eben Upton, the co-creator of the multi-million selling $35 Raspberry Pi, said there was little more power that could be wrung from the tiny computer without a major overhaul. It turns out there was more untapped potential in the board than first thought, as today saw the release of the most powerful Pi yet, the Raspberry Pi 3 Model B+. Upton describes the board as kind of a Raspberry Pi 3.5, not a generational leap over the 2016’s Pi 3 but a step up that delivers a decent boost to performance and Wi-Fi speeds. The headline improvements to the Raspberry Pi 3 Model B+ are that the CPU has been overclocked to 1.4GHz — a leap of 16.7% — and the addition of 802.11ac Wi-Fi — which almost triples the throughput of the Pi 3 Model B’s 2.4GHz 802.11n Wi-Fi — while the price remains at $35. “It’s not a Raspberry Pi 4. I think what we’ve ended up with is something which is a really good B+, a bit too good for a B+, but that would be not really anywhere near enough for a Raspberry Pi 4,” said Upton. The B+ will be of particular interest to enthusiasts pushing the existing Pi 3 to its limits, says Upton, giving them the overhead to try out new things with the Raspberry Pi. Hi does the pi 3 B+ has a built in POE? The Pi3B+ provides PoE capability via a separate PoE HAT.